S’s school doesn’t mess around with potty training. When they show an interest the underwear goes on. She’s been wearing underwear to school and coming home with wet clothes pretty much from the beginning of the school year. We sit her on the potty but she has not gone at school or at home. At her parent teacher conference last week I said I wasn’t ready to be serious about it and I wanted to wait until after the new year, just before she turns two. And what do you know – last night she POOPED in the toilet! Guess we will see if that’s a total fluke or the start of something new. 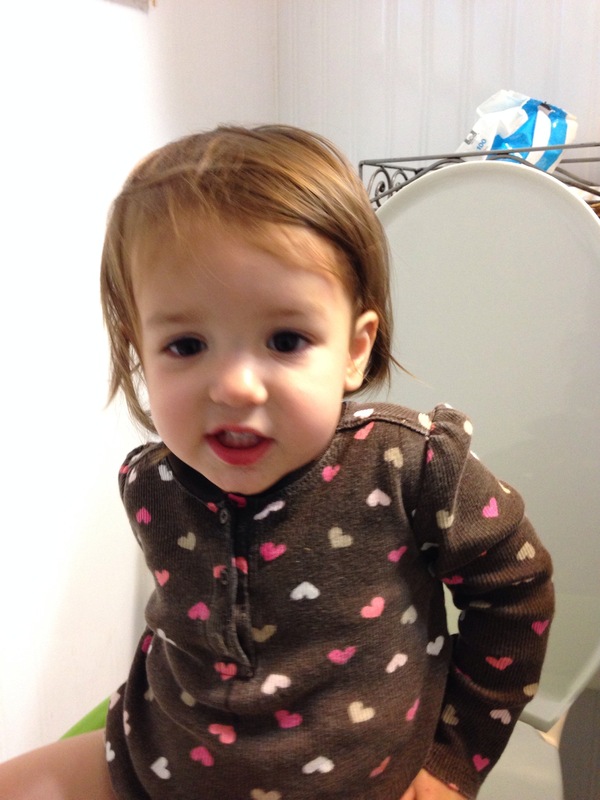 This entry was posted in Miss S., Potty Training, Toddlers. Bookmark the permalink.